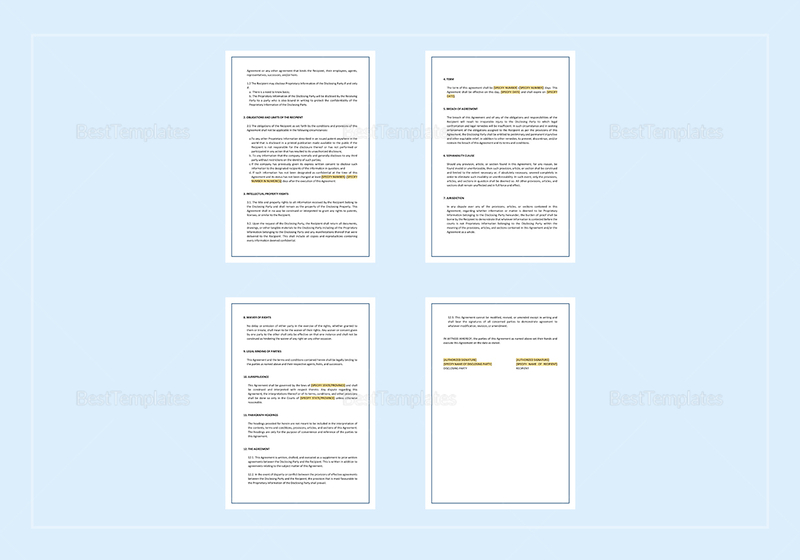 Protect your interests with this Non Disclosure Agreement Template available for instant download anytime and anywhere. 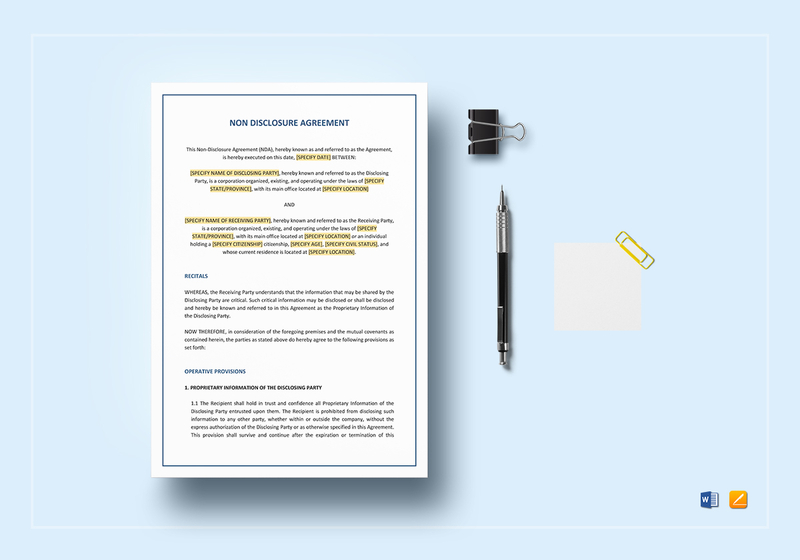 This fully customizable, 5-page document comes with business standard fonts in A4 and US letter sizes. 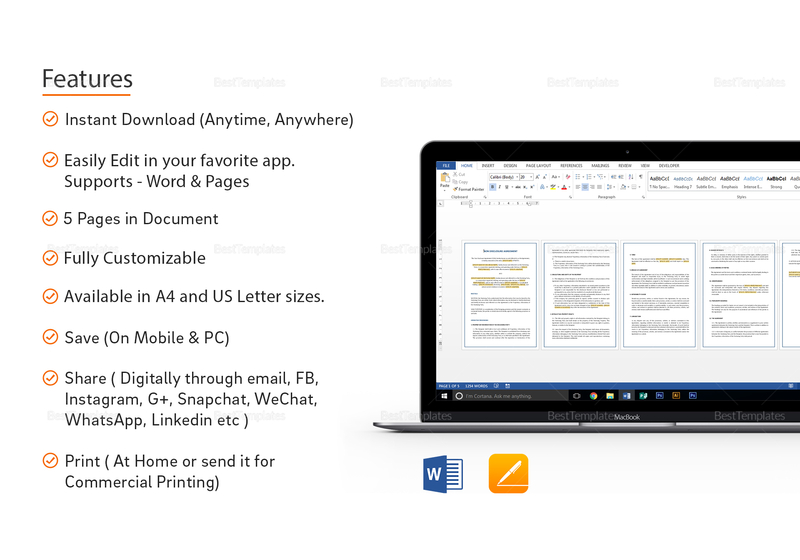 Easily edit with any software application supporting file formats for Pages and MS Word. Just replace the yellow highlighted text with your information and be done in minutes.